At Century 21 J. Carter & Company in Gulfport, we cater to the movers and shakers of the world, providing a service that's deserving of their consideration and their time. We know we have what it takes as a real estate agency to exceed your expectations. 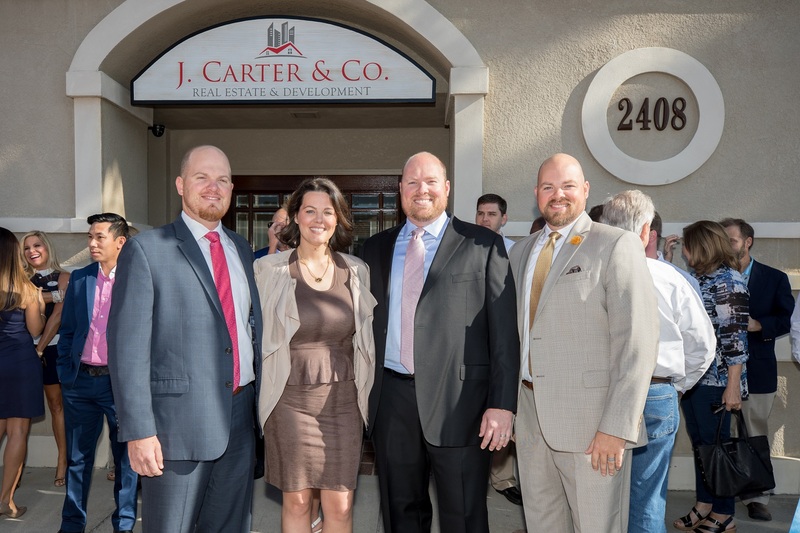 Century 21 J. Carter & Company is located in Downtown Gulfport, we are a real estate agency that provides real estate services in both Commercial and Residential real estate. Our roots are deep in this community and we take pride in what we do. We do not just list properties, we sell them. Search our current Gulf Coast listings. With our listings, we provide a detailed marketing plan for how we intend to sell your property. We provide a realistic snapshot of your properties worth and advise our clients to price accordingly. We go the extra mile to make your property stand out among others. With our buyers, we provide top notch negotiating skills and a thorough real estate search. Our primary focus is to get you what you want for the absolute best price. Contact us today for all of your Gulf Coast real estate needs! DescriptionThis beautiful, spacious home is a MUST SEE! Wonderful family home with custom details throughout! Call listing agent for showing today! Please note, Seller is unable to move out until June due to occupation. DescriptionThis beautiful Acadian style home is situated on a corner lot with tons of amenities. The floor plan is open and spacious. The courtyard style back patio is built to entertain. This house has all the upgrades. Custom cabinetry, hardwood floors, granite, double sided fireplace, large porches, fenced backyard, sprinkler system, and the list goes on! The neighborhood has one entry and this house is in the very back. Extremely family friendly, safe and no car traffic. DescriptionThis luxury home in the Woolmarket Community is ready for you! With updates all throughout such as a new roof, new A/C unit, updated kitchen cabinetry and updated flooring, this home is definitely a must-see! Call Listing Agent for your chance to see this gorgeous home! DescriptionLuxury waterfront 4 bedrooms, 2 1/2 baths, and 4 bay garage home bulkheaded with pier and boathouse. Located in the coveted, award winning Bayou View Elementary school district. Perfect for entertaining with separate media room and surround sound installed throughout entire home. Kitchen boasts custom cabinets, granite counter tops, and stainless steel appliances which includes a Viking Stove. Bonus rooms upstairs has its own HVAC system and could be converted into a 5th bedroom or man cave. Wake up to your water views from your master bedroom and kick back and enjoy the cool nights on your back lanai. Spacious backyard with a deck perfect for summer parties and bbq's. DescriptionThis Luxury home screams Florida oasis!With its own putting green, in ground pool and patio area you will love to play in the yard amongst the palm trees. The home is perfect for entertaining with a open floor plan that includes two fireplaces, extra counter top for entertaining, wet bar with icemaker, beautiful windows that allow for the natural light to shine in.Master bedroom with en-suite has his and hers closets and is attached to an office or changing area for the Mrs.Home as a built in surround sound system, recessed lighting, window treatments, fans, and many more features. DescriptionStylish 4 bedroom 3 full bath French Country Style home located in the beautiful Diamondhead community with extensive crown molding and high ceilings through out the house. Interior brick columns separating the foyer, formal dining, and great room which also has a brick fireplace with mantle. Plenty of resets lighting and windows for natural lighting through out the house. Kitchen with eat in area for convenience with the view of the fenced in back yard and patio. Master bedroom, with lighted vaulted ceilings with access to the back yard and patio. Master bath with jacuzzi tub, separate walk-in shower, his and her sinks, and a large walk-in closet. The 4th bedroom is located upstairs with a full bath which could also be used as a office or kids play area. Two car garage at the side entry. DescriptionStunning home in Malpass West Subdivision!! Designed by Elliot Homes, this home features an open floor plan, wood laminate flooring, granite throughout, oil rubbed bronze fixtures & finishes, large living area and open kitchen with island, built in microwave and oven. The master features double French doors to the back yard, walk-in closet with built-in shelves, and spa like master bath with tiled shower and soaking tub. Enjoy sitting outside under your covered patio and privacy fenced back yard!! This home will not last long! Call today for a private tour! Description$3,000 HOME UPGRADE BONUS Paid at closing table!!!!!! and $1,000 Agent BonusThis beautiful home has so many details! From the welcoming front entrance to the well thought out floor plan your family will enjoy this home for years to come. The home features the Master bed and ensuite on the first floor along with bedroom #2 with a full bath. Bedrooms #3 and #4 are up stairs with a full bath. The home features custom shelving, unique storage and cozy play areas along with a sunroom that has an entrance to a second patio joining the kitchen/ breakfast nook. The master suite and sun room flank the comfortable back porch that overlooks an expansive fenced in yard. The owners currently have a double fence gate with an extended slab. DescriptionWOW, this deal can't be real!!!! This stunning 4bed/3.5bath home in desirable River's Edge!!! This home features an open concept, great for entertaining family and friends, and a massive master bedroom with spa like bath. Let's not forget the amazing entertainment room; great for watching movies, a second living room, man cave, kids playroom... the options are limitless. You also have three more bedrooms and two more baths with one being a Jack and Jill, perfect for kids! Now don't delay call Joe today to setup your viewing!!! This home won't last long!!! DescriptionDon't miss out on this beautiful 3bd/2ba home in the heart of bayou view. Completely updated with tile and laminate throughout. Covered patio on back. All interior paint fresh. HVAC system was completely replaced in June of 2018. All granite countertops and maple cabinets with retractable drawers throughout. Call now for an appointment. DescriptionGreat home in a The Sunkist Golf Course community and only minutes to Biloxi Schools, Keesler Air Force Base, shopping and Biloxi.s Beach. This home has a very give nice pool and backyard which gives for a serene atmosphere. The home also is very high in elevation and did not flood during Hurricane Katrina.Make your appointment today to see this wonderful home and all it has to offer! Description*PRICE REDUCED* Hidden in plain sight is this gem that you do not want to pass up. Sitting on 1 acre is the perfect home for that growing family that loves to entertain! The addition to the home was a previous 2 unit apartment that was opened up and added to the main home to make a once 3/2 to a large 5/4! With a bonus kitchen, you're bond to have room for Thanksgiving dinners! Step out to the backyard and you'll find a large, 2 story gazebo!! Perfect for entertaining or enjoying the night sky on the top deck. Add in a large, custom shed that you can tuck away your toys in peace or convert it to a perfect shop for weekend projects! A great school district, great location and great sized lot, this will be that perfect forever home for your family!